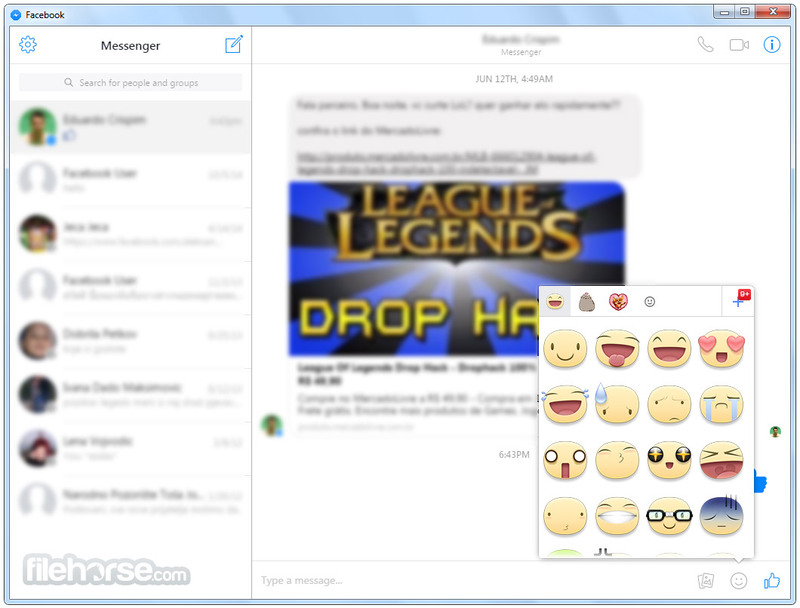 Messenger for Desktop is an unofficial client that allows you to use Facebook’s messaging service on your Windows PC. Chat without distractions on any OS. 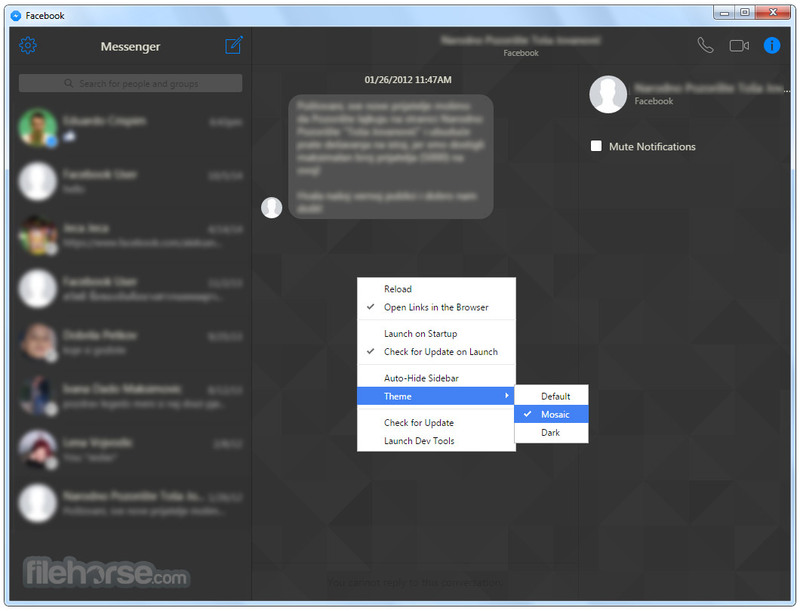 Integrated with your OS: Launch on OS startup, native notifications and custom themes. 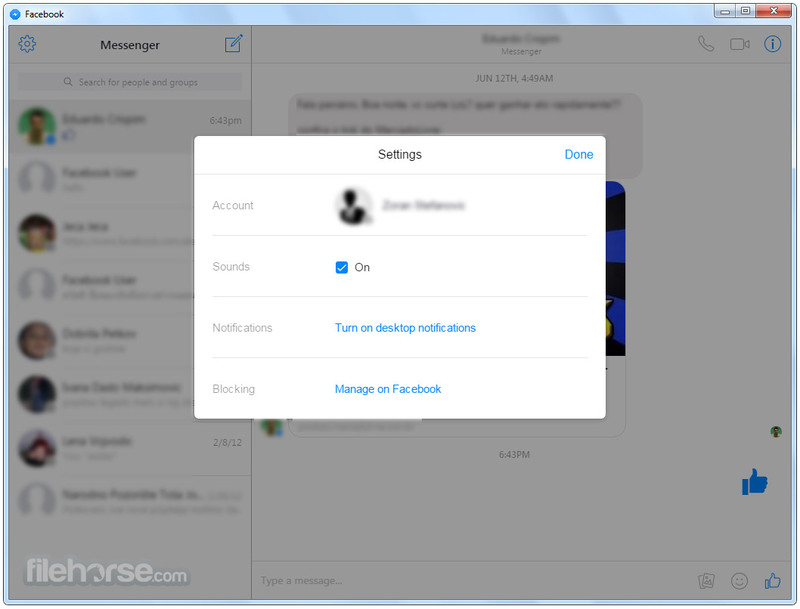 Messenger for PC is a perfect software for anyone who wants to have persistent access to Facebook chat without having the need to keep Facebook loaded in their browser. 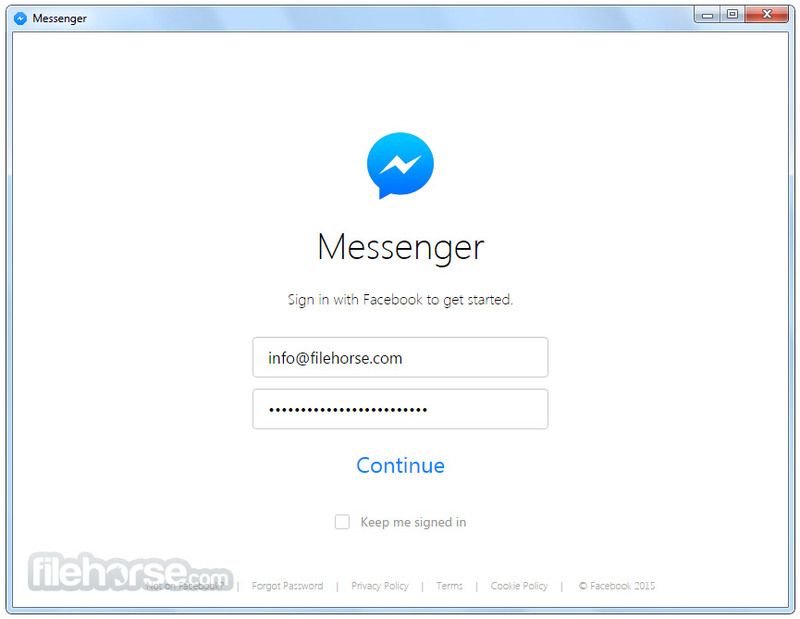 Download Messenger Offline Installer Setup for PC!